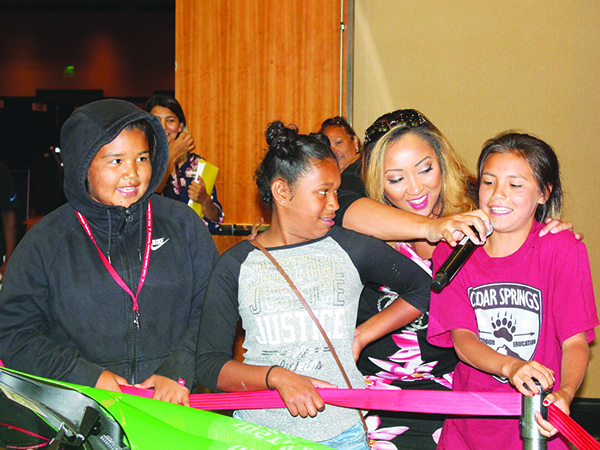 The Karen I. Fryberg Health Clinic hosted their Annual Health Fair on July 28 in the Chinook Ballroom of the Tulalip Resort and Casino. 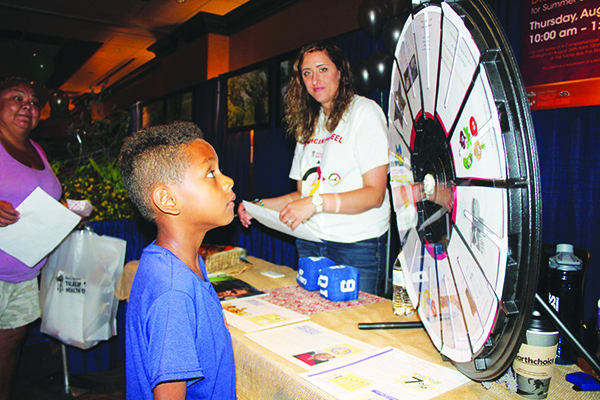 Numerous departments from the Health Clinic and the Tulalip Tribes had interactive information booths stationed at the event including the Diabetes and Wellness programs, SNAP-Ed, Child Advocacy and the Everett Optometry Clinic. The Health Clinic also provided free screenings for diabetes and high blood pressure to the community at the Health Fair. Across the hall in the Orca Ballroom of the Resort, Tulalip TERO (Tribal Employment Rights Office) held a Career Expo where community members seeking employment opportunities met representatives from local colleges and businesses such as Cabela’s, DigiPen Institute, Evergreen State College and Everett Community College Aviation. 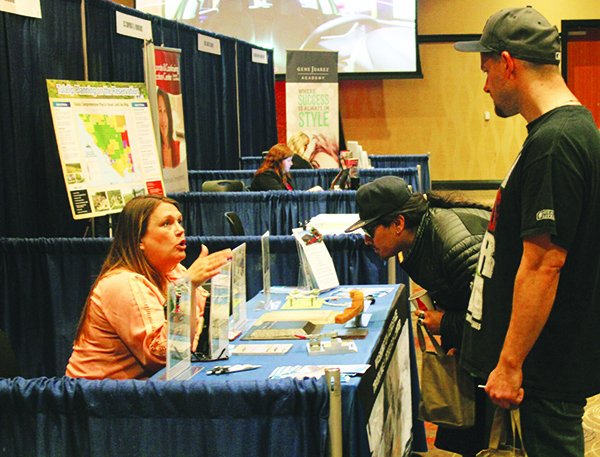 Tulalip also had many representatives from various departments and entities available to the speak with the community, including the Tulalip Administration CSR team, Tulalip Tribes Planning, Quil Ceda Village and Tulalip Resort and Casino Employment. Tulalip and Marysville community members were encouraged to attend both events and were treated to an outdoor lunch on a beautiful summer afternoon. Many community members who attended the Health Fair and the Career Expo received free swag, sang carpool karaoke and had the opportunity to win summertime-themed prizes such as a Seahawks cooler, a lawnmower, a freezer chest and an air conditioner. This entry was posted in Health, News, Tulalip News and tagged Health, Karen I. Fryberg Health Clinic, TERO, Tulalip Tribes by Kim Kalliber. Bookmark the permalink.